NO PURCHASE NECESSARY TO ENTER OR WIN. A PURCHASE WILL NOT IMPROVE CHANCES OF WINNING. 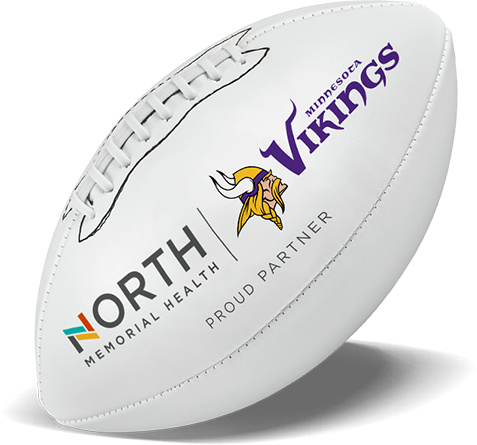 SPONSOR: This Sweepstakes is sponsored by North Memorial Health Care, 3300 Oakdale Avenue North, Minneapolis, MN 55422 (the “Sponsor”). HOW TO ENTER: The Sweepstakes begins at 8:00 a.m. Central Standard Time (“CST”) on December 19, 2018 and ends at 11:59:59 p.m. CST on December 21, 2018 (“Sweepstakes Period”). Sweepstakes participation is open to Minnesota and Wisconsin residents, 18 years of age or older only. Employees of North Memorial Health Care System, partners and registered affiliates are not eligible to participate or win. Sweepstakes will be administered under strict adherence to consumer Sweepstakes guidelines set forth by applicable law and Facebook, Inc. Sponsor’s computer is the official time-keeping device for all Sweepstakes promotion and entries. Eligible Entrants can enter the Sweepstakes through the Facebook application described below. If a prospective Entrant is not already a member of Facebook, he/she may visit www.facebook.com and follow the links and instructions to become a Facebook member. Sponsor cannot guarantee that Facebook will grant you membership. Once the eligible Entrant has become an active Facebook member, they have the opportunity to enter the Sweepstakes by visiting: http://www.facebook.com/NorthMemorial (the “Facebook Page”). From the Facebook Page, Entrants will be directed to a link where they will be instructed to “like” the Facebook Page, and follow the links and instructions to complete the Sweepstakes official registration form. The registration form will require each participant to provide, among other things, their first name, last name, and valid email address. Limit one (1) entry per person. All entries become the exclusive property of Sponsor and will not be acknowledged or returned. ADDITIONAL ENTRY REQUIREMENTS & RESTRICTIONS: The Entrant is responsible for any applicable costs associated with the Entry. Incomplete entries, or those containing incorrect information, will be voided at the Sponsor’s sole discretion. Proof of sending or submission will not be deemed to be proof of receipt by Sponsor. Sponsor reserves the right to disqualify any person that submits more than maximum allowed Entries. Any personally identifiable information collected during an Entrant’s participation in this Sweepstakes will be collected by Sponsor and used by Sponsor, their respective affiliates, agents and marketers for purposes of the proper administration and fulfillment of the Sweepstakes and as otherwise described in these Official Rules. GENERAL CONDITIONS: If for any reason the operation or administration of this Sweepstakes is impaired or incapable of running as planned for any reason, including but not limited to (a) infection by computer virus, bugs, (b) tampering, unauthorized intervention, (c) fraud, (d) technical failures, or (e) any other causes beyond the control of the Sponsor which corrupt or affect the administration, security, fairness, integrity or proper conduct of this Sweepstakes, the Sponsor reserves the right at its sole discretion, to disqualify any individual who tampers with the entry process, and to cancel, terminate, modify or suspend the Sweepstakes in whole or in part, at any time, without notice and award the Prize(s) using all non-suspect eligible entries received as of, or after (if applicable) this cancellation, termination, modification or suspension date, or in any manner that is fair and equitable and best conforms to the spirit of these Official Rules. Sponsor reserves the right, at its sole discretion, to disqualify any individual deemed to be (a) tampering or attempting to tamper with the entry process or the operation of the Sweepstakes or Sponsor’s Website; or (b) acting in violation of these Official Rules or in an unsportsmanlike or disruptive manner. CAUTION: ANY ATTEMPT TO DELIBERATELY DAMAGE ANY WEBSITE OR UNDERMINE THE LEGITIMATE OPERATION OF THE SWEEPSTAKES IS A VIOLATION OF CRIMINAL AND CIVIL LAWS AND SHOULD SUCH AN ATTEMPT BE MADE, THE SPONSOR RESERVES THE RIGHT TO SEEK DAMAGES OR OTHER REMEDIES FROM ANY SUCH PERSON(S) RESPONSIBLE FOR THE ATTEMPT TO THE FULLEST EXTENT PERMITTED BY LAW. Failure by the Sponsor to enforce any provision of these Official Rules shall not constitute a waiver of that provision. In the event of a dispute as to the identity of the winner based on an e-mail address or Facebook account, the winning entry will be declared by the authorized account holder of the Facebook account used at time of entry. “Authorized account holder” is defined as the natural person who is assigned to a Facebook account by the on-line service provider or other organization (e.g., business, educational, institution, etc.) that is responsible for assigning accounts. RELEASE AND LIMITATIONS OF LIABILITY: By participating in the Sweepstakes, entrants agree to release and hold harmless the Sponsor, Facebook, Inc., Minnesota Vikings Football, LLC, and any affiliated partners or spokespersons, their respective parents, employees, officers, directors, subsidiaries, affiliates, distributors, sales representatives, advertising and promotional agencies (collectively, the “Released Parties”) from and against any claim or cause of action arising out of participation in the Sweepstakes or receipt or use of any prize, including, but not limited to: (a) any technical errors that may prevent an entrant from submitting an entry; (b) unauthorized human intervention in the Sweepstakes; (c) printing errors; (d) errors in the administration of the Sweepstakes or the processing of entries; or (e) injury, death, or damage to persons or property which may be caused, directly or indirectly, in whole or in part, from entrant’s participation in the Sweepstakes or receipt of any prize. Released Parties assume no responsibility for any error, omission, interruption, deletion, defect, delay in operation or transmission, communications line failure, theft or destruction or unauthorized access to, or alteration of, entries. Released Parties are not responsible for any problems or technical malfunction of any telephone network or telephone lines, computer on-line systems, servers, or providers, computer equipment, software, failure of any e-mail or entry to be received by Sponsor on account of technical problems, human error or traffic congestion on the Internet or at any Website, or any combination thereof, including any injury or damage to participant’s or any other person’s computer relating to or resulting from participation in this Sweepstakes or downloading any materials in this Sweepstakes. Entrant further agrees that in any cause of action, the Released Parties’ liability will be limited to the cost of entering and participating in the Sweepstakes, and in no event shall the Released Parties be liable for attorney’s fees. Entrant waives the right to claim any damages whatsoever, including, but not limited to, punitive, consequential, direct, or indirect damages. DRAWING AND NOTIFICATION: The Prize winner will be selected in a random drawing from among all eligible entries received throughout the Sweepstakes Period. Odds of winning a prize will depend on the total number of eligible entries received. The prize drawing will be conducted at random on or about December 22, 2018 by the Sponsor whose decisions are final and binding. Prize Winner will be contacted by the email address provided at entry. PRIZE: There will be one (1) Grand Prize. The Grand Prize has an Approximate Retail Value (“ARV”) of $1,440 US. The Grand Prize winner will receive four (4) tickets to the Minnesota Vikings/Chicago Bears football game scheduled for December 30, 2018, twelve (12:00) noon at U.S. Bank Stadium in Minneapolis, MN. All costs and expenses associated with prize acceptance and use not specified herein as being provided, including but not limited to lodging, transportation costs, meals, gratuities and other expenses incurred by accepting the Prize are the sole responsibility of the individual winner. The prizes are non-transferable and non-assignable, with no cash redemptions except at Sponsor’s sole and absolute discretion. Sponsor reserves the right to substitute any prize (or any portion thereof) with a prize of comparable or greater value at its sole and absolute discretion. Seat locations at the game shall be determined in the sole discretion of Sponsor. Winner’s companions must be of legal age of majority in their jurisdictions of residence, unless winner is the parent or legal guardian of the companion. National Football League game, event and exhibition dates and times are determined in the sole discretion of the Office of the National Football League Football Operations and/or the applicable National Football League, and may be subject to change. The terms and conditions of the tickets awarded as part of the prize will govern in the event a legal game, event or exhibition, as defined by National Football League, is not played or held, as applicable, due to weather conditions, an act of God, an act of terrorism, civil disturbance or any other reason. Winner and his/her guest(s) agree to comply with all applicable stadium and venue regulations, as applicable, in connection with the prize. Sponsor and the applicable NFL entities reserve the right to remove or to deny entry to winner and/or his/her guest(s) who engage(s) in a non-sportsmanlike or disruptive manner, or with intent to annoy, abuse, threaten or harass any other person at the game, event or exhibition. Released Parties will not be responsible for weather conditions, Acts of God, acts of terrorism, civil disturbances, work stoppage or any other natural disaster outside their control that may cause the cancellation or postponement of any National Football League game, event or exhibition. National Football League game, event and exhibition tickets awarded as prizes may not be resold or offered for resale. Any such resale may result in disqualification and prize forfeiture, and may invalidate the license granted by the game ticket(s). PRIZE CONDITIONS: The potential winner will be notified by email and will be given instructions on how to claim the prize. The Sponsor will make a minimum of one (1) attempt over the forty-eight (48) hour period following the winner selection to contact the potential winner via the email address provided in his/her selected entry. If a potential winner cannot be reached during the forty-eight (48) hour period in which he/she is emailed, the potential Winner(s) may be disqualified and alternate winner(s) may be selected at random from all remaining applicable eligible Entries received as time permits at Sponsor’s sole discretion. Winner is solely responsible for any/all local, state, and federal taxes associated with the receipt of a prize. The Sponsor reserves the right in its sole discretion to substitute any prize with another prize of equal or greater value in the event that the prize (or any component thereof) is not available as determined by the Sponsor in its sole discretion. ALL EXPENSES ASSOCIATED WITH ACCEPTANCE OF A PRIZE NOT MENTIONED HEREIN ARE THE SOLE RESPONSIBLITIY OF THE PRIZE WINNERS. PRIZE WINNERS WILL NOT HAVE THE RIGHT TO SUBSTITUTE ANOTHER PRIZE PACKAGE. ANY DIFFERENCE BETWEEN THE STATED APPROXIMATE RETAIL VALUE OF ANY PRIZE AND THE ACTUAL VALUE OF SUCH PRIZE WILL NOT BE AWARDED. ANY UNCLAIMED PRIZE WILL NOT BE AWARDED. GENERAL: By accepting a prize, where permitted by law, the winner grants to the Released Parties and those acting pursuant to the authority of Sponsor and the Released Parties (which grant will be confirmed in writing upon Sponsor’s request), the right to print, publish, broadcast and use worldwide IN ALL MEDIA without limitation at any time a winner’s full name, portrait, picture, voice, likeness and/or biographical information for advertising, trade and promotional purposes without further payment or additional consideration, and without review, approval or notification. IN NO EVENT WILL RELEASED PARTIES BE RESPONSIBLE OR LIABLE FOR ANY DAMAGES OR LOSSES OF ANY KIND (INCLUDING WITHOUT LIMITATION, DIRECT, INDIRECT, INCIDENTAL, CONSEQUENTIAL, OR PUNITIVE DAMAGES) ARISING OUT OF PARTICIPATION IN THIS SWEEPSTAKES OR THE ACCEPTANCE, POSSESSION, USE, OR MISUSE OF, OR ANY HARM RESULTING FROM THE ACCEPTANCE, POSSESSION, USE OR MISUSE OF THE PRIZES. By participating, entrants release and agree to hold harmless the Released Parties from any and all liability for any injuries, death or losses or damages to persons or property AS WELL AS CLAIMS/ACTIONS BASED ON PUBLICITY RIGHTS, DEFAMATION, AND/OR INVASION OF PRIVACY that may arise from participating in this Sweepstakes or its related activities or the acceptance, possession, use or misuse of, or any harm resulting from the acceptance, possession, use or misuse of the Prize(s). Winner acknowledges that Released Parties have neither made nor are in any manner responsible or liable for any warranty, representation or guarantee, express or implied, in fact or in law, relative to the Prize. DISPUTES: Except where prohibited, you agree that any and all disputes, claims and causes of action arising out of, or connected with, the Sweepstakes or any prize awarded shall be resolved individually, without resort to any form of class action, and exclusively by the appropriate court located in the State of Minnesota. All issues and questions concerning the construction, validity, interpretation and enforceability of these Official Rules, your rights and obligations, or the rights and obligations of Sponsor in connection with the Sweepstakes, shall be governed by, and construed in accordance with, the laws of the State of Minnesota, without giving effect to any choice of law or conflict of law rules (whether of the State of Minnesota or any other jurisdiction), which would cause the application of the laws of any jurisdiction other than the State of Minnesota. WINNER LIST: The name of the winner will be posted on the Facebook Page shortly after December 22, 2018. Sweepstakes participation should be performed for entertainment purposes only. Sweepstakes is in no way sponsored, endorsed, administered by, or associated with Facebook, Inc. You understand that you are providing information to the Sponsor, and not to Facebook.